Press Release (ePRNews.com) - Chicago, IL - Mar 22, 2019 - ​​​​​​​​​​Come April 6, Chicagoans will be able to experience the next big thing in Chicago sports, courtesy of the Chicago Sun-Times. 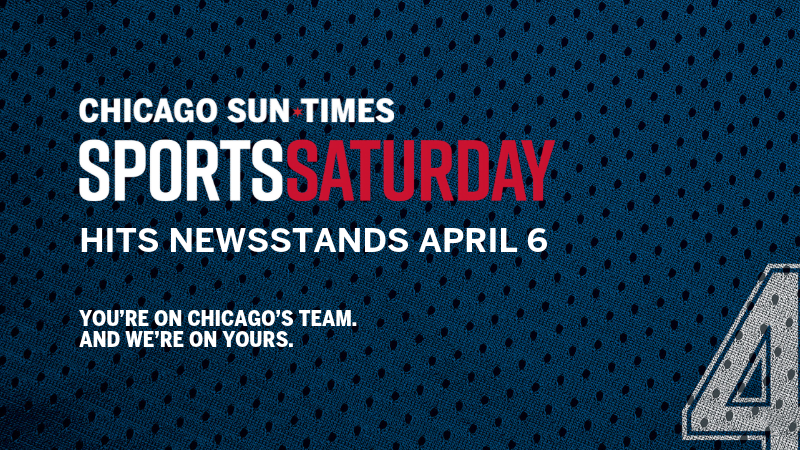 A new edition, called “Sports Saturday,” will wrap the regular Saturday Sun-Times and include exclusive content by the hardest-working sports staff in America. Each Saturday, fans will be treated to an in-depth cover story that takes them into the locker room; inside the heads of Chicago’s top athletes, coaches and executives, or celebrates the moments that make our city the best sports town around. Bolder graphics and photography will aim to engage fans of all sports, from preps to pros, the WNBA to auto racing. “Sports Saturday” also will include some outside-the-basepaths coverage, including expanded outdoors coverage from Dale Bowman and even an occasional “screen test” by entertainment columnist and author Richard Roeper, who will measure how well critically acclaimed sports movies stand the test of time. The new product comes in the wake of many regional newspapers eliminating their Saturday editions. The Sun-Times has chosen another direction — doubling down on Saturdays to offer more in-depth sports reporting. Sports Saturday will be available on newsstands beginning April 6. A promotional campaign that includes advertising on CTA buses and trains will pave the way to the first edition. The Chicago Sun-Times is the hardest-working paper in America, covering the stories and issues that matter most to Chicago’s working women and men with depth, integrity and grit. Winner of eight Pulitzer Prizes, the Sun-Times features hard-hitting investigative reporting, in-depth political coverage, insightful sports analysis, entertainment reviews and cultural commentary, both in print and online. Read more at suntimes.com.